O-109 R3 Below, O-109a Single Leaf R? 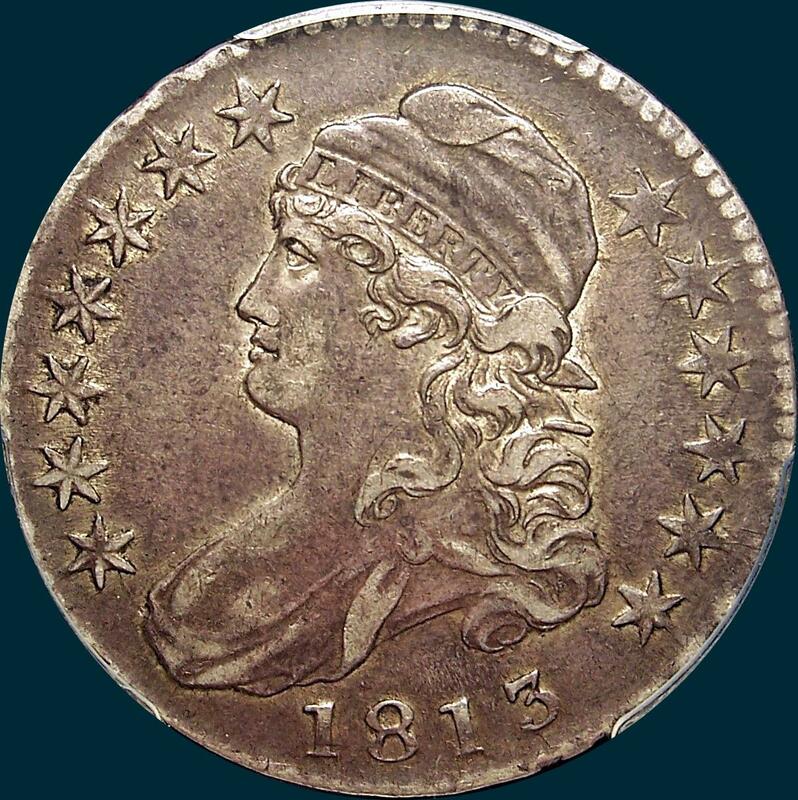 This is one of the toughest 1813's to obtain in higher grades. 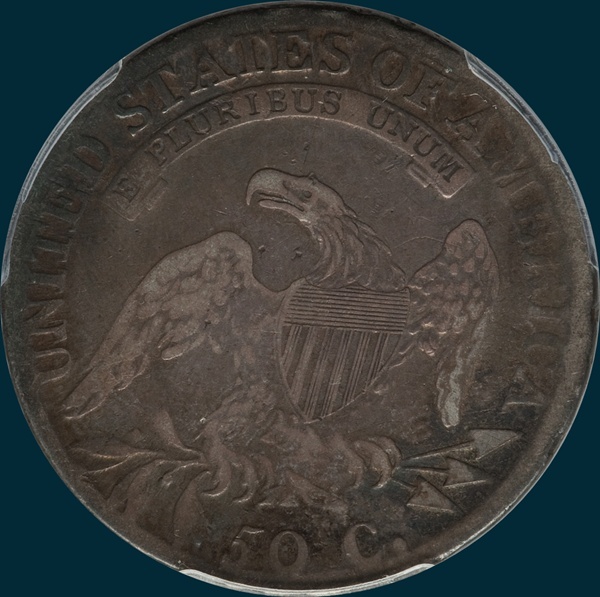 There are high grade examples surviving with an MS65 at the top, but AU examples are scarce, and look for the latest die state with a single leaf reverse, which is basically the latest die state. Where the state begins is up to debate. The listed examples at the bottom are at least close to what the single leaf should be. There are others that are claimed to be single leaf, but I do not think that they are. PCGS Graded XF45. A nice gray-tone piece with decent luster. A slightly tougher variety with plenty of detail remaining. This one appears to be a slighly later die state with weakend milling and reverse details beginning to disappear, and the second leaf being faint yet visible. Variety Attribution: Obverse-Stars are usually part to all flat. Milling narrow and often incomplete. 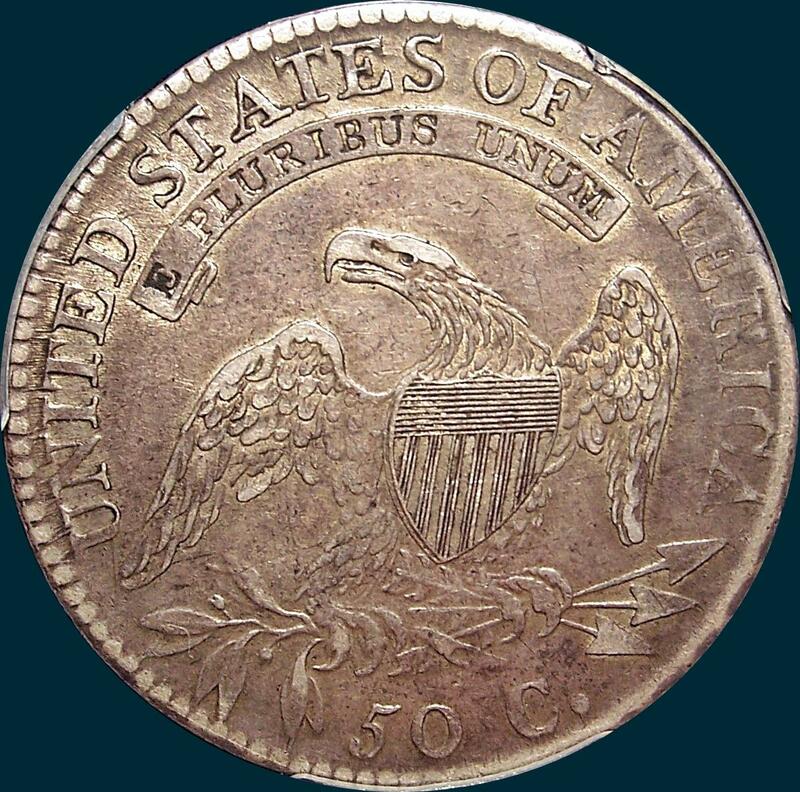 Many specimens of this and the following variety show rim damage in minting, especially on the reverse and adjacent to AMERICA. Date is 9 3/4 mm with a broad 8 and the second 1 lower than the other figures. 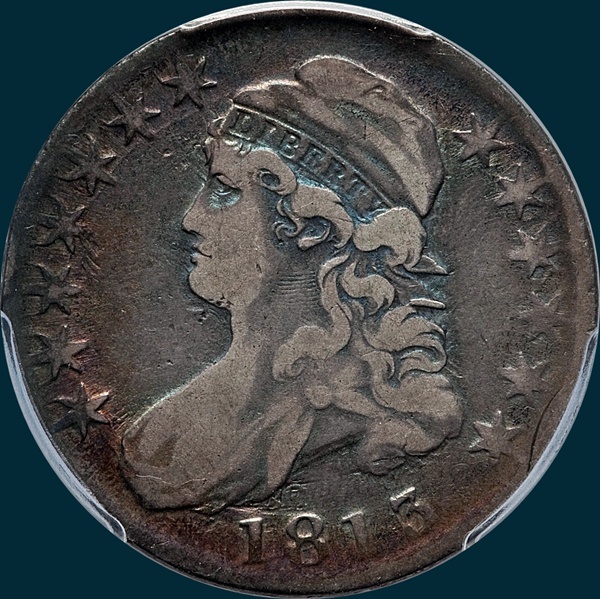 In this marriage all specimens seen show the obverse die cracks, left of date joining all stars on left, and another fine crack through 813 to star 13. Reverse-50 C. is 2mm. and rather low. Arrow to A is 1 mm. Small center dot between crossbars 4 and 5. Arrowheads separated, I is centered under left side of T. Reverse edge is often damaged. E in AMERICA higher at base than M.
O-109a: Single leaf remaining due to die lapping. BHNC is still trying to figure out how many true Single Leaf examples are out there.